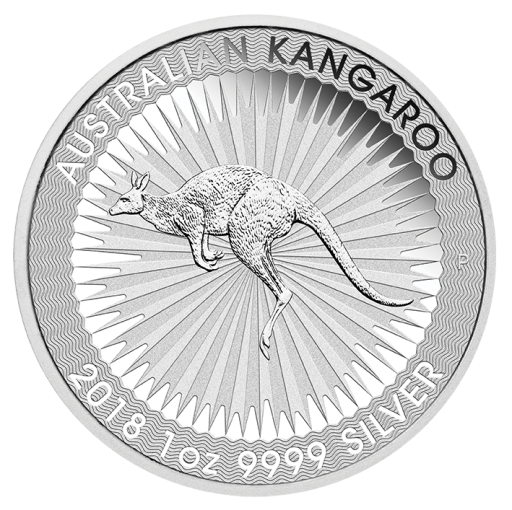 The Silver Kangaroo 2018 1 oz is struck from .9999 Pure Silver from the famous Perth Mint. The coin's unique design features make it a popular choice among investors. The coin depicts the image of the continent's largest Marsupial which is synonymous with Australia. The red kangaroo is the largest of four species and can be found roaming the Australian outback. Order the 2018 1oz Australian SIlver coin from SIlver-to-go.com and get fast and secure shipping to your door. Thanks Silver-to-go,I cant reccomend them or Coininvest enough, mine are 2017 Kangaroos but there pretty much the same from what I can see, beautiful coins and the frosted image of her majesty gives them an almost proof like appearance. Thanks again. A fantastic and beautiful product. I made a mistake on my order with the bank but it was all sorted out easily and I received my product safely in the UK. I was worried at first but silver-to-go were very helpful, trustworthy and communicative. Thanks!